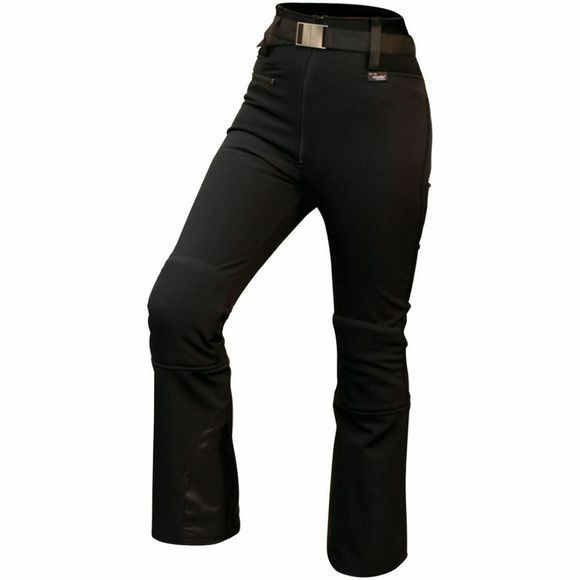 The Henri Duvillard Women's Ingrid Pant has one of the most elegant cuts available, incorporating comfortable stretch to achieve a contoured, flattering fit that doesn't hold you back. Made from Schoeller® softshell 3-layer fabric, the pant offers reliable wind and water resistance that is designed to withstand the wear and tear of the mountain. With its high quality construction and chic styling, it's clear to see why the Ingrid Pant has become a firm favourite.